There can be no excuse for the abuse of any person by any other person, nor any excuse for the failure of the Church to act decisively to bring healing to victims and to protect society from predators. While it is natural to judge the past by the criteria of today, it is helpful to understand the context in which Church leaders made decisions in the past — particularly prior to the passing of the Charter for the Protection of Children and Young People in 2002, before which all of the known offenses of sexual abuse of minors in Arkansas would have occurred. During my time (2008 to present) as well as that of Bishop Peter Sartain (2000-2006) and Administrator Gaston Hebert (2006-2008) the provisions of the Charter for the Protection of Children and Young People have been implemented faithfully, but understandably there are real questions about some of the decisions of Church leaders prior to 2002. Prior to the notorious case in 1983 of Father Gilbert Gauthe of Lafayette, Louisiana — the first Catholic priest in the United States to face a criminal trial for child sexual abuse — the sexual abuse of minors may have been typically viewed in the Church more through the lens of sin rather than crime, especially when it was committed within a family or by a trusted friend rather than by a predatory third party. And naturally there was an understanding that sin could be forgiven if there was remorse and firm purpose of amendment. The nature of how these acts were viewed shifted with time. In the United States, childhood sexual abuse has long been a crime in many places, and more recently, laws have been passed requiring affirmative action for the protection of children. The first state laws requiring reporting of allegations of child sexual abuse were passed in 1963, and by 1967 all states had such laws — though in Arkansas, clergy were not mandated by law to report such allegations until 2003. Even though not legally mandated, it would seem to most people that like others in authority, the clergy should naturally report these crimes when they became aware of them outside of the sacrament of confession. I, along with Bishop Sartain and Msgr. Hebert have complied with all reporting requirements during our time here to the best of our knowledge and ability. In addition to being viewed primarily as a sin, psychosexual disorders (including pedophilia) also came to be viewed as treatable psychological problems. Therefore, starting in the 1950s a number of institutions were founded to offer counseling and psychological therapy to priests experiencing a wide range of problems, especially alcoholism and depression, but also attendant problems like pedophilia or other sexual disorders. These institutions offered therapy and were so confident of the success of the treatment they offered that they would return “rehabilitated” priests to their dioceses, assuring bishops that the priest could safely resume ministry. Many bishops throughout the country made extensive use of these institutions and trusted in the often mistaken clean bill of health they received on these men. Reliance on these treatment institutions for priests who sexually abused minors declined over time due to their ineffectiveness, and the Diocese of Little Rock had ceased that practice entirely by the time the charter was promulgated in 2002. Any use of these facilities since then has been for problems unrelated to sexual disorders involving minors. Prior to 2002 bishops, on receiving an allegation seemed to focus primarily on finding a way to rehabilitate the priest and avoid public scandal — and, although they made some efforts to assist the victim, clearly the concerns for victims was not as paramount as it should have been. Since all the bishops who served in Arkansas during this period are now deceased, there is no way to know for certain what conversations they might have had with accused priests. Some of these priests are never known to have offended again after having undergone therapy, but sadly we know that this was not the case in every single circumstance, either here in Arkansas or throughout the country. With the benefit of hindsight and what we know about the impact of child sexual abuse today, the prior way of handling such matters may look to us like callous disregard for the welfare of the victim — which, objectively, it was. But subjectively it was probably misplaced confidence on the part of Church leaders in the professionals who treated priests who sexually abused minors. Prior Arkansas bishops and Church leaders nationwide underestimated the impact of abuse on victim’s lives and underestimated the future threat to others. At that time, there also existed what some would call an attitude of silence and denial in the general culture at that time regarding sexual abuse — in this the Church was not unique. We can conjecture that many bishops probably went into “damage control mode” to avoid scandal and protect the institution, and so did what they could to try to contain the problem, giving assurances to victims that something would be done about the offending priest, and including at times an offer of help to the victim, but without public acknowledgement of the abuse. There were a lot of reasons for bishops to try to handle these situations as discreetly as possible. The problem with this approach was that many victims felt silenced at the very time when they most needed to be heard. The disclosures I made this past fall and now are an attempt to right this wrong and remedy the omissions of the past. Up until very recently Rome placed very narrow limits on what a bishop could do to get an offender laicized — limits that were even harder if the offender refused to petition for laicization voluntarily. These restrictions have now largely been removed by Popes Benedict XVI and Francis. 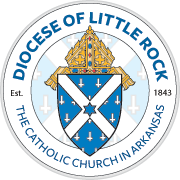 The Diocese of Little Rock has initiated laicization proceedings for all the remaining non-laicized Diocese of Little Rock priests who are credibly accused of sexual abuse of minors, none of whom have been in active ministry since 2002. None of the above is offered as an excuse for how allegations were handled in the past. Our purpose is to provide context, to answer questions about how allegations were handled in general prior to 2002, and to ensure that we learn from the past so as to not repeat these mistakes again.